Martin McGlynn joined StemCells, Inc. in January of 2001 as president and CEO and was elected to its board of directors in 2001. Martin has spent several decades as a senior executive in the life sciences industry in Europe, Canada and the United States but began his career in Manufacturing Operations with Becton Dickinson, Ireland Ltd. 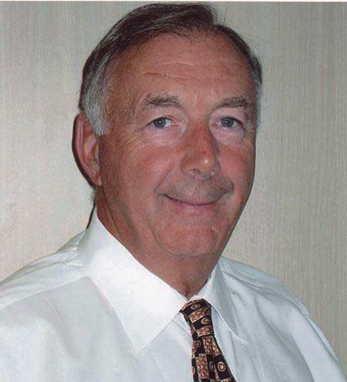 He then joined Abbott Labs in 1977 where he held positions as General Manager, Abbott Ireland Ltd., President and General Manager of Abbott Canada Ltd., and Vice President of Abbott International Ltd. In 1990, he joined the BOC Group as President of Anaquest Inc., a global leader in anesthesia and acute care pharmaceutical, headquartered in New Jersey, and subsequent to its acquisition by the BOC group, was also appointed managing director of Delta Biotechnology (UK) Ltd., a leader in the discovery and development of recombinant human proteins from yeast expression systems. In 1994, he became president and CEO of Pharmadigm, Inc., a privately owned, start-up, engaged in the research and development of a new class of intravenously administered anti-inflammatory agents. A Dublin native, Martin holds a Bachelor of Commerce degree from University College, Dublin. He is a former member of the board of directors of the Confederation of Irish Industries and the Pharmaceutical Manufacturers Association of Canada, and currently serves as an Officer of the Board of the Alliance for Regenerative Medicine. He and his wife Kamar have six children.